CARFAX One-Owner. Clean CARFAX. Blue 2017 Toyota Corolla SE FWD CVT 1.8L I4 DOHC Dual VVT-i When you can come to Joseph Toyota of Cincinnati, you can have your car wishes granted. And let's face it: you deserve nothing less. Located on 9101 Colerain Avenue in Cincinnati, Ohio, we know our job isn't finished until you're completely satisfied. Recent Arrival! 28/35 City/Highway MPG Awards: * 2017 KBB.com 10 Best Sedans Under $25,000 * 2017 KBB.com 5-Year Cost to Own Awards * 2017 KBB.com Best Resale Value Awards * 2017 KBB.com 10 Most Awarded Brands Call (513) 385-0800 today for more information on this vehicle! CARFAX One-Owner. Clean CARFAX. Blue 2016 Toyota Camry LE FWD 6-Speed Automatic 2.5L I4 SMPI DOHC Ash w/Fabric Seat Trim. When you can come to Joseph Toyota of Cincinnati, you can have your car wishes granted. And let's face it: you deserve nothing less. Located on 9101 Colerain Avenue in Cincinnati, Ohio, we know our job isn't finished until you're completely satisfied. Recent Arrival! Odometer is 24607 miles below market average! 25/35 City/Highway MPG Awards: * 2016 KBB.com 10 Best UberX Candidates * 2016 KBB.com 10 Best Sedans Under $25,000 * 2016 KBB.com 10 Most Awarded Cars * 2016 KBB.com 5-Year Cost to Own Awards * 2016 KBB.com Best Buy Awards Finalist * 2016 KBB.com 10 Most Comfortable Cars Under $30,000 Call (513) 385-0800 today for more information on this vehicle! 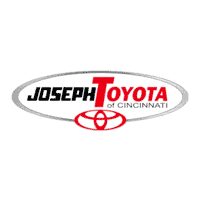 Joseph Toyota of Cincinnati is serve drivers near Colerain and Fairfield, OH with a large and diverse selection of used and certified pre-owned vehicles. As you browse our used inventories, be sure to check out our used vehicle specials and Under $10K Inventory to see if you can save even more. If you’ve found what you’re looking for, use our payment calculator and trade value tool to get a head start on financing! If you have any questions along the way, don’t hesitate to give us a call or stop by our Cincinnati, OH Toyota dealership to speak with one of our team members.